Sarah Sfeir was an official translator in 2007 and progressed to sworn translator in 2013. 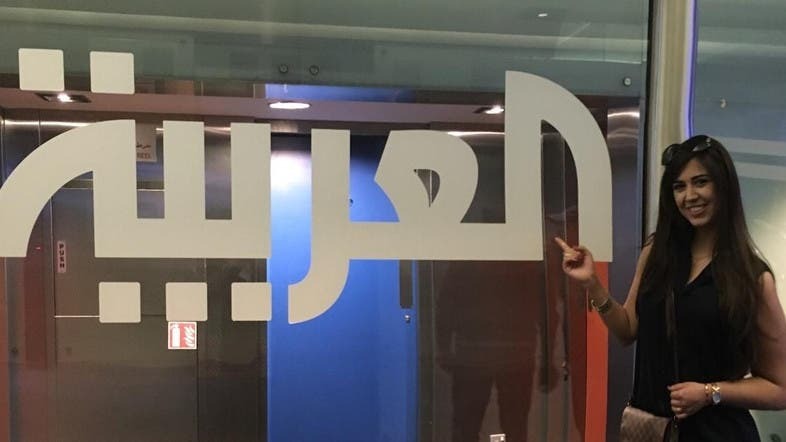 In a translator’s world, when you rest you rust,” said Sarah Sfeir, Al Arabiya English’s senior translator whose job it is to translate articles from Arabic to English for the website. She also manages a team of around the clock translators for the website, which relies heavily on translations to adapt Al Arabiya’s screen output on to English for readers worldwide. She said the problem with language was if you don’t use it regularly, there’s a real risk that you start to lose the fluency. In the case of languages, she explained, the phrase ‘use it or lose it’ was quite accurate. The challenge with languages, she explained, was that while there were obvious basic rules, they were not something that never changed. All linguists are constantly developing and expanding their language knowledge, she said. “Languages are [like] living beings, evolving and changing over time,” Sfeir added. She was an official translator in 2007 and progressed to sworn translator in 2013, and obtained her master’s degree in Modern Languages and Translation and a Diploma in Translation. An official translator is someone who holds a degree and is capable of translating, while a sworn translator is one that can translate for all governmental institutions, embassies, and anything or place that requires an official stamp. Sfeir stressed that in addition to a degree, translators should work on their ‘experiences’ and ‘skills’ endlessly. The Arabic language is said to be spoken by an estimated 422 million people, making it one of the six most spoken languages in the world. While it’s unrealistic for people to be experts in everything, Sfeir said translators are expected to have a well-rounded and knowledgeable vocabulary, so they are ready to translate anything, whether it be legal content, health related, economic, or political. She said the more knowledgeable a translator is, the more he or she will succeed in their work. “It would be irresponsible for translators to expect less of themselves,” she quipped, admitting that understanding language was just the start – being able to take a concept in one language and express it in another without changing the meaning was the tricky bit. Sfeir said she personally believes Arabic is the ‘richest’ language in terms of its diversity, although some might argue that Greek is the richer with about five million words. The senior translator speaks and translates Arabic, English, French and Spanish – but she has also taken Romanian language courses. Sfeir said as a native Arabic speaker she finds translation from English to Arabic easier, depending on the type of text or content she’s provided with. “Translating an IT related text into Arabic would be quite difficult because you cannot find all the equivalent IT terms in Arabic,” she explained. Translation is far more complex than simply changing written or spoken words from one language to another – there are several ways of doing it. There’s a literal translation which involves a word-for-word translation, but this can lead to an awkward phrase structure Sfeir explained. She said this differed significantly with a semantic or free translation, where the translator is free to restructure the sentence, while ensuring the meaning and context of the words was the same. Sfeir said a big challenge faced by any translator was finding the equivalent word to describe the same when changing from one language to another. Inevitbaly she said this resulted the concept of a sentence being translated instead of the actual words. “What I enjoy most, is the idea that I am always learning new information. What is even more intriguing is that my translations are giving a wider audience access to this information,” she added.